I've Been "Invited" To A Root Cause Analysis, Now What? allnurses is the leading social-networking site for nurses and nursing students. People from all over the World come to allnurses to communicate and discuss nursing, jobs, schools, NCLEX, careers, and so much more. A Checklist for Patient Safety – This Nurse Quit, Will YOU? This article is about how organizations can support patient safety. It includes a story about SN, a new nurse who didn’t make it due to unsafe working conditions. Empower yourself and your patients by using the attached checklist for interventions organizations can use to support patient safety (take it to your next job interview or your next medical appointment)! Click HERE for an article about the origin story of Safety Nurse! 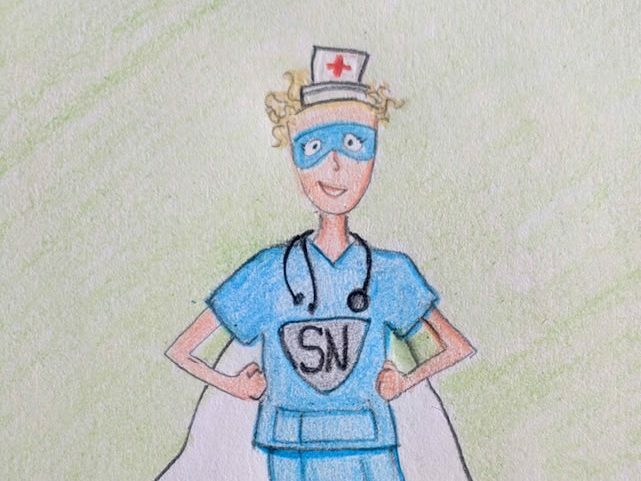 The origin story of Safety Nurse, who, garbed in turquoise scrubs, a white cape, a 50’s style nursing hat and sensible, orthopedic shoes, walks hastily through the galaxy providing assessment skills, education, wound care and safe medication administration!